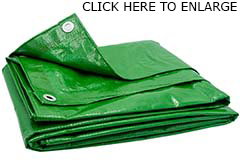 Our 4.5 ounce medium green poly tarps are water and mildew proof as well as tear and acid resistant. Constructed of 9-10 mil thick laminated polyethylene with a fabric weave count of 10x10, the medium green tarps are a great option for a natural green color. If you prefer a deeper shade of green, then the forest green may be an option. The medium green tarps are lighter than a heavy duty tarp, yet thicker and stronger than an economy tarp. Grommets are spaced approximately every 36 inches on all sides for your convenience. 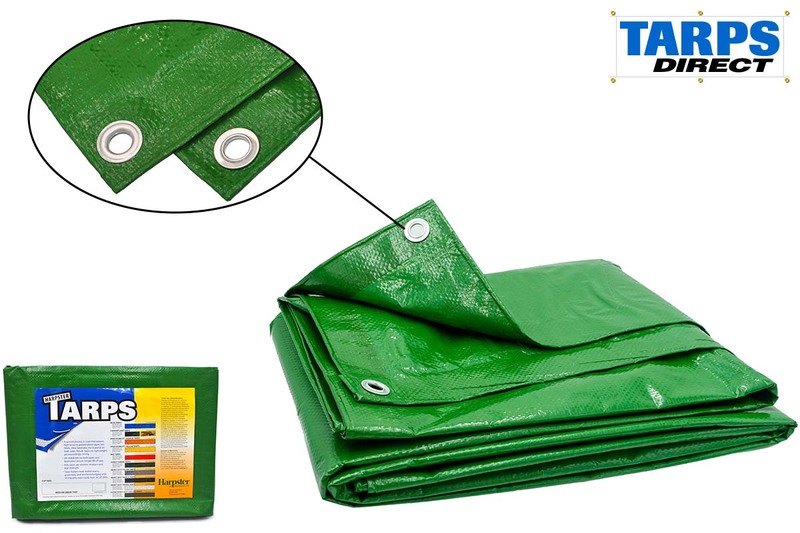 Our 4.5 ounce Medium Green poly tarps are both water and mildew proof as well as tear and acid resistant. Constructed of 9-10 mil thick laminated polyethylene with a fabric weave count of 10x10, these tarps are lightweight yet durable. Our Medium Green is one of the brightest tarps on the market today which makes it perfect for any situation that needs to stand out! Grommets are spaced approximately every 36 inches on all sides for your convenience. Medium Green tarps can be used as part of a triage set, decorating for holidays, shade covering or protecting an object or your space.